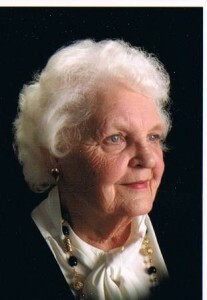 Devoted wife,Â mother and grandmother, Jackie died near her home in Fort Collins, Colorado on February 21, 2011 at a nursing home in Windsor from the effects Alzheimerâ€™s disease. Born March 14, 1931 to Ralph W. and Leonora E. Heald in Waterloo, Iowa, Jackie was a student at East Waterloo High School, and a graduate of then Iowa State Teachers College in 1953 (now the University of Northern Iowa). She married Arthur L. Bunn, also of Waterloo, June 13, 1953. Jackie was a passionate flower gardener, superb seamstress, and even a fledgling light plane pilot. She was an accomplished, award winning accordionist (instructed also), and later took up the organ. She loved hot air ballooning as well as her sport cars (Sunbeam Alpine, Mustang, Fiat X-19). Â Humorously pragmatic, sheÂ demonstrated her affection through her actions, and is fondly remembered by all who knew her. She was president of Newcomerâ€™s clubs in numerous communities across the country during her husband’s career advancement with Gates Rubber Company. A superb and caring teacher, who for the majority of her career instructed at the high school level, Jackie embraced the evolution of technology in her field of business from manual calculators to the modern personal computer. 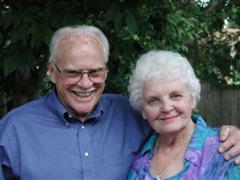 She is survived by her husband Arthur Bunn of Fort Collins, her sister Mrs. Linda Funderburk, three children, and five grandchildren. Following cremation, her Celebration of Life will beÂ Thursday, February 24th, 2 pm at the Spirit of Joy Lutheran Church, 4501 S. Lemay Ave., Fort Collins, Colorado 80525; map, click here. Memorial contributions may be sent to the Alzheimer’s Association, Colorado Chapter, Inc. at 415 Peterson Street, Fort Collins, Colorado 80424.